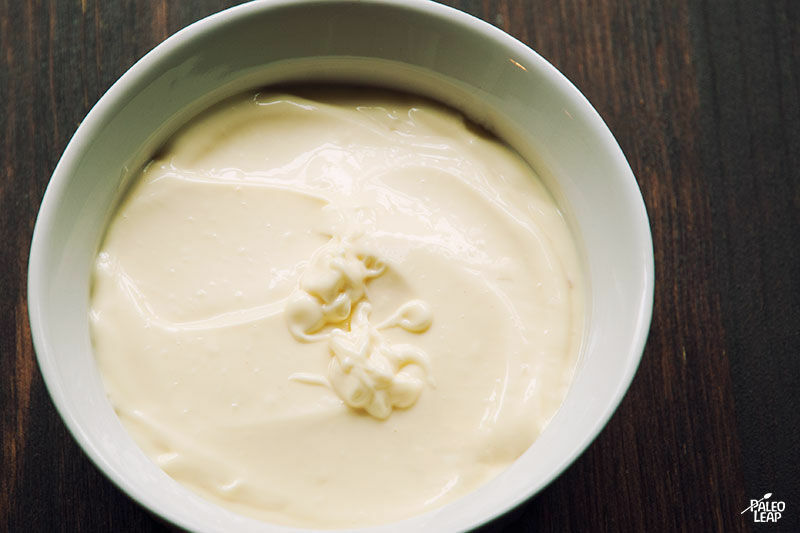 Need something easy and super-nutritious for a side dish or a quick snack in the afternoon? 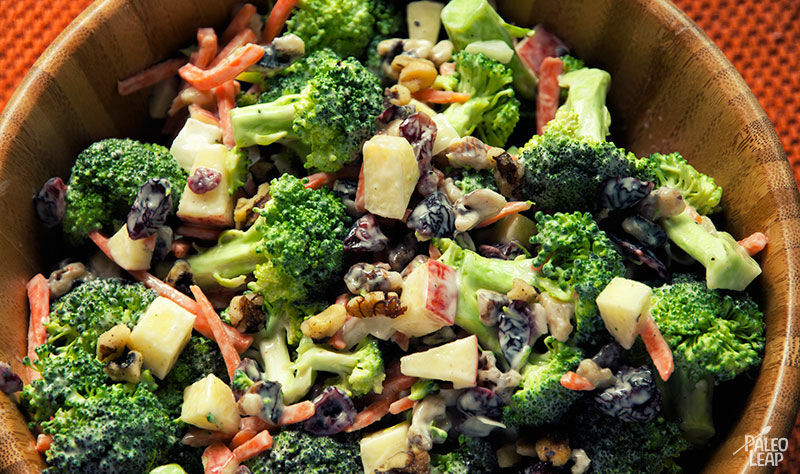 Try this crunchy raw salad, featuring broccoli, shaved carrots, and juicy bites of apple. Top it with walnuts and dried cranberries, and toss with as much dressing as you like to get the perfect balance of creamy and crisp. Of course, with such a nutritional superstar as the main event, this salad is bound to be full of the good stuff. In just one serving you’re getting a significant serving of Thiamine (vitamin B1), riboflavin (B2), B6, folate (B9), vitamin C, copper, magnesium, manganese, phosphorus, and potassium. And that’s without even going into antioxidants, which are increasingly giving the humble broccoli some excellent front-page press. Not too shabby! If you don’t like cranberries (or if you can’t find a good brand without any added sugar), you can always substitute with raisins instead. And for an even bigger flavor, try roasting the walnuts 4-5 minutes in the oven before you toss them in. If you don’t have time for that, though, the salad is still delicious just with the raw nuts. Throw it together to beat the mid-afternoon snacking urge, or just keep a batch in the fridge to pull out when you need some greens in a hurry. Mix as much dressing as you like in the salad and toss until well combined.